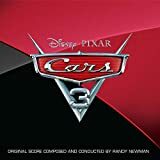 Accueil Produits Musiques Glory days – Paroles de la chanson dans “Cars 3”. 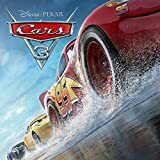 Glory days – Paroles de la chanson dans “Cars 3”. Sortie : 16 Juin 2017. I had a friend was a big baseball player. He could throw that speedball by you. Make you look like a fool boy. Saw him the other night at this roadside bar. I was walking in, he was walking out. We went back inside sat down had a few drinks. But all he kept talking about was. Glory days well they’ll pass you by. Glory days in the wink of a young girl’s eye. Well there’s a girl that lives up the block. Back in school she could turn all the boy’s heads. Sometimes on a Friday I’ll stop by. And have a few drinks after she put her kids to bed. Her and her husband Bobby well they split up. I guess it’s two years gone by now. We just sit around talking about the old times. She says when she feels like crying. She starts laughing thinking about. My old man worked 20 years on the line. And they let him go. Now everywhere he goes out looking for work. They just tell him that he’s too old. I was 9 nine years old and he was working at the. Metuchen Ford plant assembly line. Now he just sits on a stool down at the legion hall. But I can tell what’s on his mind. Glory days yeah goin’ back. Glory days aw he ain’t never had. Now I think I’m going down to the well tonight. And I’m going to drink till I get my fill. And I hope when I get old I don’t sit around thinking about it. Yeah, just sitting back trying to recapture. A little of the glory of, well time slips away. And leaves you with nothing mister but. Boring stories of glory days.